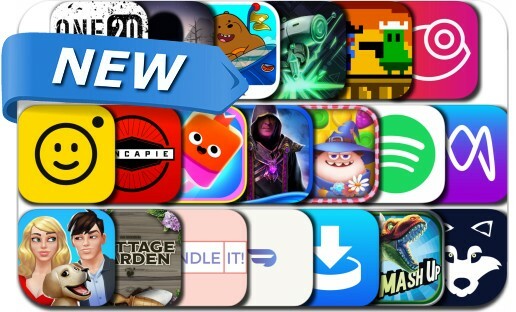 This new apps alert includes Burrito Bash - We Bare Bears, Home Street, Bounce House, Infiniroom, Cubesc, ONE20 Maps, Yoink, iFunnyCam, Train Bandit, Movies Anywhere, Cottage Garden, Munchkin Match, Spotify for Artists and many others. Test your skills on the world's longest bouncy Bounce House gauntlet! It's so long it never ends!